Select the optional 23″ (58.4 cm) edge-to-edge multi-touch screen. Easily run multiple applications simultaneously with up to 16GB of 1600MHz DDR3 memory. Optiplex 9020 AIO is a desktop that will allow you to communicate, collaborate and share across your entire organization with a full set of features to help you connect and interact. With an onboard Gigabit Ethernet (GbE) and an optional Wireless LAN you are able to share content with lightening speeds. If you want to communicate set up a VoIP communication with your integrated front microphone and headphone mini-jacks. Don’t worry about data transfers because with Optiplex 9020 has a native high-speed USB 3.0 ports. 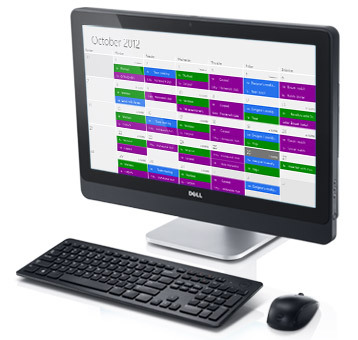 Overall, I’m very happy with the All-in-One desktop from Dell. Everything is there nicely compact for any user to start using right away.